The FCC just voted to destroy long-standing media-ownership protections — a move that will pave the way for the Sinclair-Tribune merger and make it easy for big corporations to take over your local media. Enough is enough: We’re suing the FCC. True to form, FCC Chairman Pai resorted to lies and misinformation to justify his plan, refused to seek public input, and showed zero concern for how communities — and our democracy — will suffer as a result. Here’s the truth: The FCC’s decision to overturn the media-ownership limits will allow a given company to own multiple TV stations in the same market — and air the same cookie-cutter content on all of the local-news broadcasts. The agency will now also allow a company to own both the leading newspaper and TV and radio stations in the same market. History shows that when media conglomerates gobble up smaller outlets, newsrooms are shuttered, journalists are laid off — and women and people of color are kept out of the marketplace. 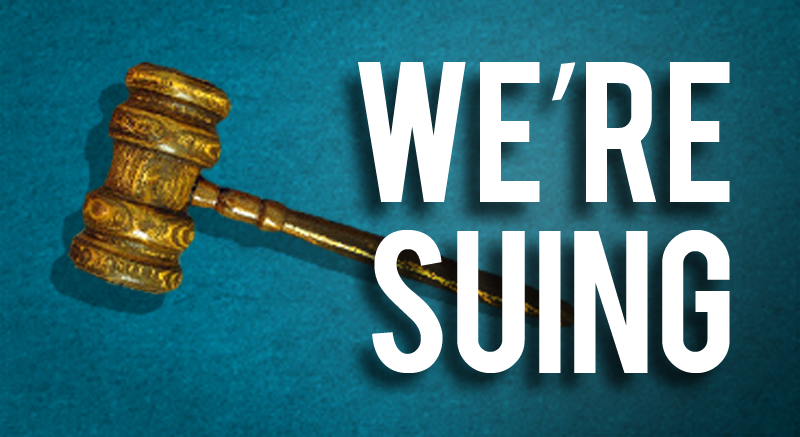 We’ve twice beaten the FCC in court when it’s tried to overturn its ownership rules. With your generous support we can win again. A generous donor will match every dollar up to $50,000 by Dec. 31 — give now and double your impact.